A sign off of Midland Drive marks Midland Holiday Pines with additional information including opening day. 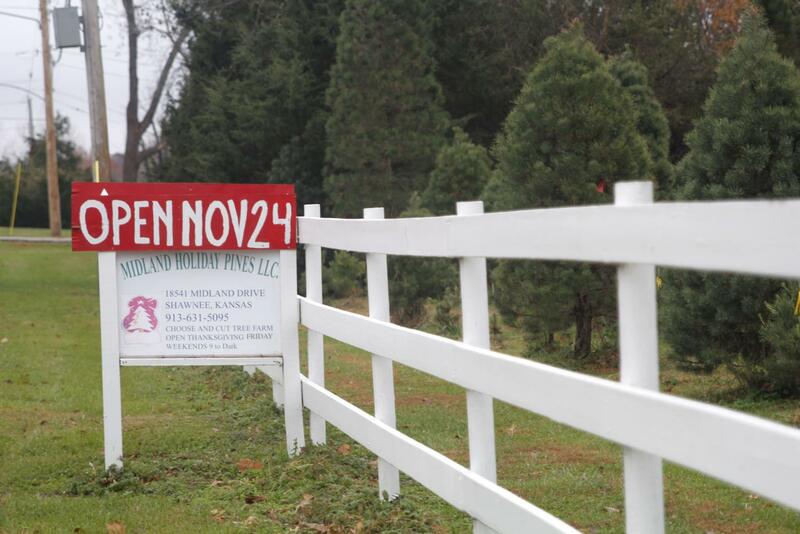 Midland Holiday Pines, owned by Phil and Judy Wegman, has been selling Christmas trees for the past 15 years. The farm is seven acres of land filled with Scotch Pines, Austrian Pines, White Pines and Frasier Firs. Phil wanted to take something his family loves and share the experience with other families, thus making Midland Holiday Pines. The farm opens the day after Thanksgiving each year with a lot of preparation leading up to the opening. Along with Christmas trees, the family sells wreaths and additional products in the garage of their house. Phil enjoys being able to work so close with his family. Sophomore Kayla Middaugh, who has gone to the farm with her family for four years to get a tree, believes the employees are knowledgeable and enthusiastic in the process of getting a tree. The appeal and friendly environment the farm brings to Shawnee is something Phil enjoys.